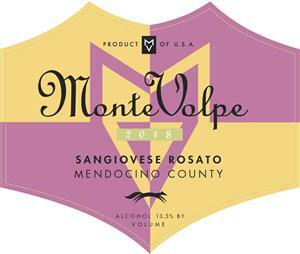 Our Sangiovese Rosato is produced from grapes grown in the foothills of Mendocino County. This dry rose wine is produced by the "direct to press" method then transferred to neutral French barrels for fermentation. This lovely wine has aromas and flavors of strawberries and cranberries and finishes with sweet fruit flavors and mouth-watering acidity. It is the perfect "al fresco" with light seafood and poultry dishes. Our wines reflect an artistic blend of Italian heritage and California flair.